Calif. garage sale: Everything must go! 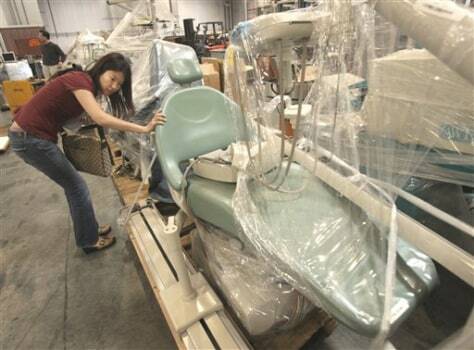 Cindy Wang, a dentist from San Jose, on Tuesday inspects a dental chair that will be for sale as part of the Great California Garage Sale in Sacramento. California hopes to raise hundreds of thousands of dollars from the giant sale being held at a state warehouse Friday and Saturday.